Most of my tattoo inspirations are fairly nerdy, revolving around games or aspects of games I really like. I’ll go into the story of my existing piece another time; tonight I want to talk about what I’m thinking of getting next. The header image for this article is the logo for the game Watch_Dogs 2, an open-world “fight the system” game where you play a rogue hacker in the SF Bay Area fighting against a seemingly omnipresent surveillance state supported by big business (in-universe versions of Google and Facebook, mostly). It has both a more hopeful and bleaker tone than the first game in the series, but in the end I think its message is a fantastic one: freedom and privacy are worth fighting for. In the age of social media, heuristic supercomputers, and the very real rise of information as a commodity, I personally believe that most people are numb to the idea that their privacy is worth more than lip service. It’s a distressing trend and one that I wrestle with on an almost daily basis, whether at work or at home. 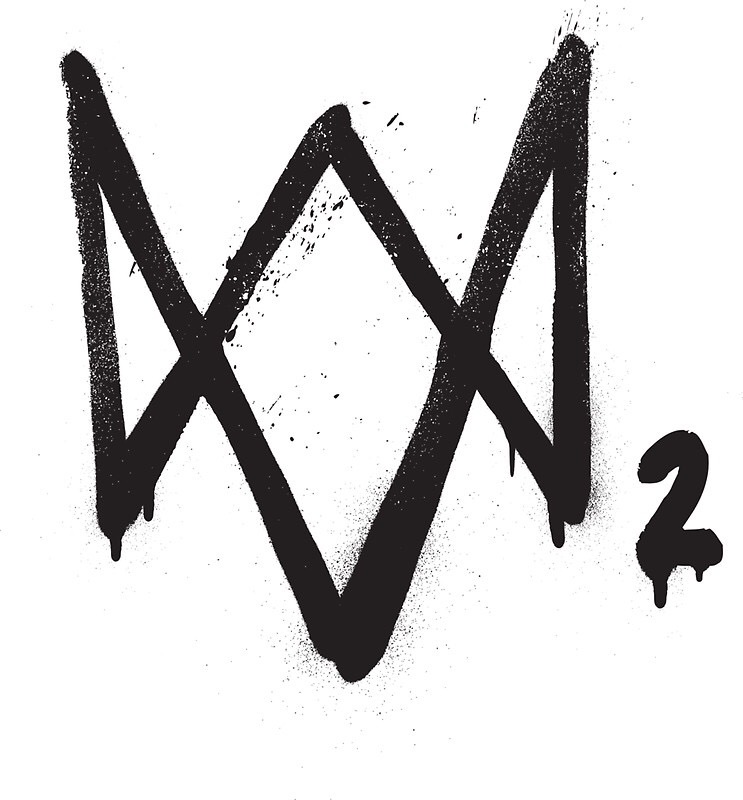 I’m thinking about getting the W_D2 logo, somewhere between its cleanly-drawn and spray-painted versions, on my left shoulder blade, a counterbalance to the current piece I have on my right. All of my tattoo ideas are for me, not really for other people. They’re reminders, guides, and homages to the things that are most important to me. These days, it seems privacy is something we need to fight for, and I never want to forget that.